Judith Lauand is referred to as “Dama do concretismo” or “The First Lady of Concretism”. She is an important figure in 20th century Brazilian Art. 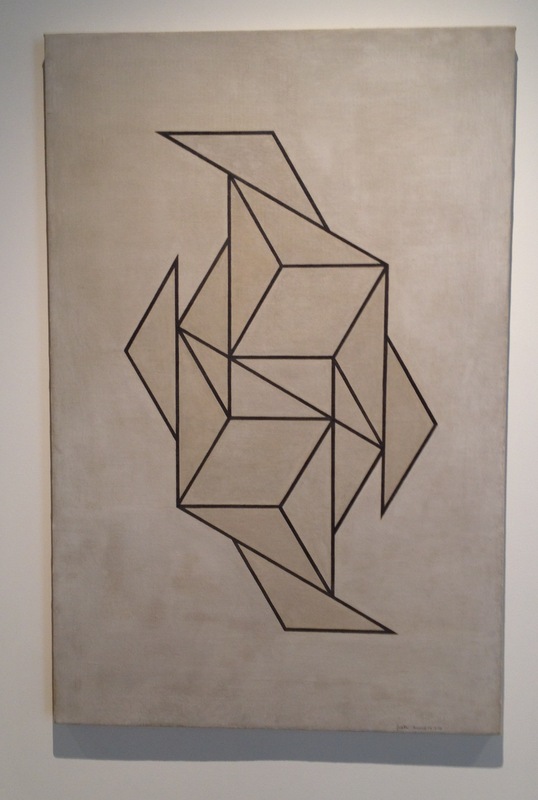 Concretism (called “Arte Concreta” in Brazil) is an international post WWII artistic Movement that included the use of a networks of mathematical geometry to build precise abstract systems of pattern. The exhibition at Driscoll/Babcock is Lauand’s first solo show in NYC. Dr Aliza Edelman has curated “Judith Lauand: Brazilian Modernism 1950s-2000s”. This collection of paintings and drawings demonstrates Lauands significant geometric vocabulary. Her paintings feature bright flat hard edge figures. “Concerto 66” is a circular panel with four lightening bolt shapes radiating from the center, creating a four fold rotation symmetry. “Concerto 178” is tempera on canvas and is more of a line drawing. Two rhombi are surrounded by a host of triangles building a tiling type of pattern with 2 fold rotational symmetry. 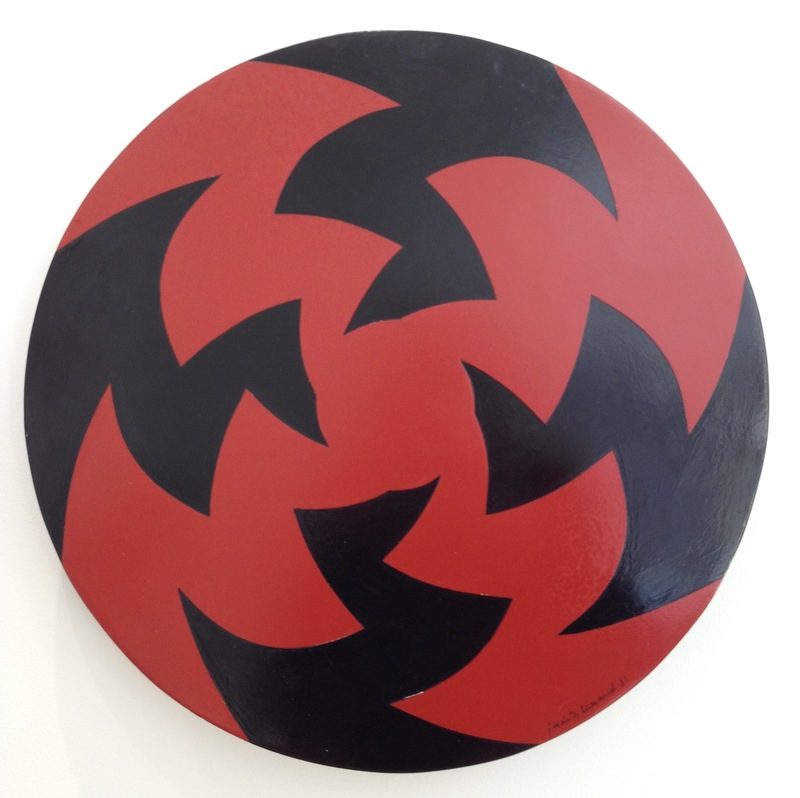 Lauand’s work is a great example of the emphasis on mathematics in important post-war abstract artistic practices.